Say this for the Windows Phone 7 team, they have one helluva sense of humor. 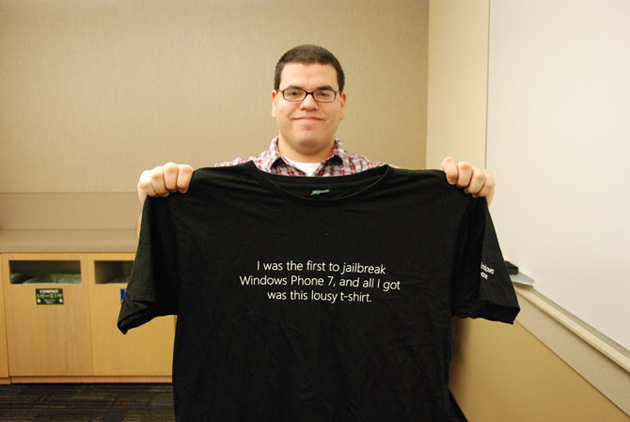 Check out the t-shirts handed out the developers behind ChevronWP7. In case you missed our story yesterday, the developers from ChevronWP7 are meeting today with the Windows Phone 7 team to discuss the future of homebrew. Interesting that they used the term “jailbreak” on the shirts.